They also resolved to vote for governorship candidate of the All Progressives Congress (APV) in the state, Alhaji AbdulRahman AdulRazaq, Oyedepo told journalists in Ilorin on Sunday. CK10 Media gathered that the press statement was signed by the 23 elders, including Chief Cornelius Adebayo, Brig Gen Saliu Bello (rtd), Prof. Ibrahim Gambari and Engr Simeon Daramola. According to the elders, Kwara has benefited immensely from the administration of President Buhari and that the people were in agreement with the agenda to tackle corruption, conspiracy against the poor masses and to build a viable country. “We hereby declare our support for the second term bid of President Muhammadu Buhari because we believe he has done well within the socio-economic and political realities of the country and the glaring resistance to positive change by some reactionary elements. “We distance ourselves and our people from the greed-driven diatribes and frustrations of a certain political dynasty in Kwara State against the president. 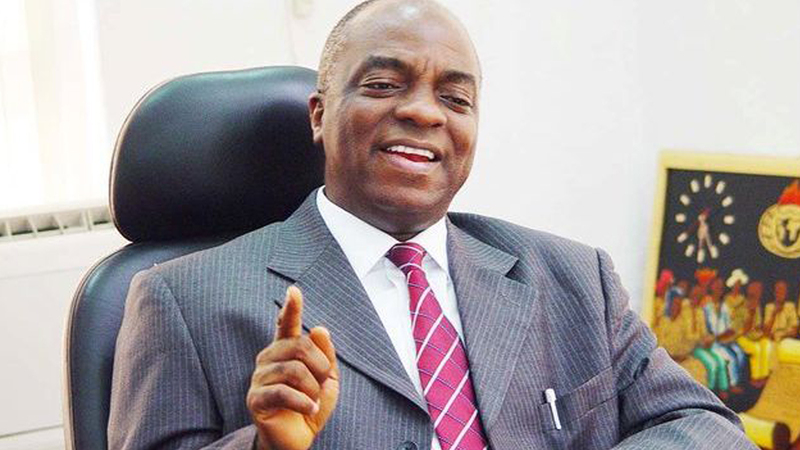 “In that light, we throw our weight behind the president’s plan to evolve a new political culture where nobody is seen to be above the law or is allowed to continue to trade with public funds as they recently exposed themselves to be doing,” Oyedepo said. He further said they are backing AbdulRazaq of the APC for the governorship poll, adding that his campaign slogan. ‘O To Ge’ has captured the social political mood of the people who crave for a new dawn in the state. “We agree with the candidate that the crises of governance, poverty and youth restiveness and frustrations in Kwara are directly linked to the irresponsible, corrupt and morally-challenged political leadership in the state which holds our people and their culture in utter contempt. “We submit that this endorsement arose from practical analysis of the political space and its realities. “We believe that AbdulRahman AbdulRazaq shares our concerns and value system as a people and he would run a government that would reflect the wishes of our people,” he added. They also dismissed as insulting, the claim by the state PDP and Senator Bukola Saraki that voting for the APC will lead to a control of Kwara government by some outside forces. “We urge our people to discountenance the lousy claim by the unproductive and corrupt elements from the ruinous dynasty about some persons coming to take over Kwara State from Lagos or Abuja. “We consider the claim very insulting and arrogant as it gives the impression that Kwara has been willed to the shameless characters making the claim. “We state categorically that Kwara is not the property of anyone and any bonafide Kwaran, whatever their political platform or background, is qualified to aspire to any office in the state without being blackmailed that they represent any outside interest. “We find it particularly insulting that the fellows making this claim are those whose origins and credentials are suspect. “These are people, nay political contractors, without any credible roots in this state,” he said. The elders therefore called for credible and transparent elections in Kwara and Nigeria as a whole. “We are worried that the discredited dynasty is trying hard to intimidate the opposition through violence. “The resort to violence came after they failed to plant their moles as the flag bearers of the opposition parties. “We therefore call on the president and the security chiefs to put their feet down and ensure that our people are protected as they exercise their civic rights,” Oyedepo added. He called for security beef up before, during and after the elections in the state. “We also urge the civil society/observers to pay good attention to Kwara without being partisan,” he said. Other signatories to the statement were Chief Ayotunde Raji; Chief Philips O.Adekeye, Barrister Titus Ashaolu (SAN), Alh Aremu B. Yahaya; Alh Yinusa Gada; Alh Yusuf Habeeb and Rev.Jacob K.Abimbola. Others were Alhaji Oba Idiaro, Dr Salihu Ajia, Sen Idris Haliru, Engr Umar Shaaba, Amb Nuru Mohammed, Sen Mohammed Ahmed, Hadjia Zainab Ndalolo, Hon Issa Bio, Alhaji Busari Alade, Alhaji Salihu Idris and Alhaji Isiaka Jimoh. CK10 Media is a team of professional MEDIA Personnel, an organisation set out to reach the world with happenings within and out of Nigeria. We are your Media team!